IWF - What Happened When Heritage's Kay Coles James Was Put on a Google Board? When Heritage Foundation President Kay Coles James was put on Google 's advisory board on AI, it didn't take long for the internal thought police to swing into action. Around 2,000 Google employees joined in a revolt against having a conservative leader on a company board. 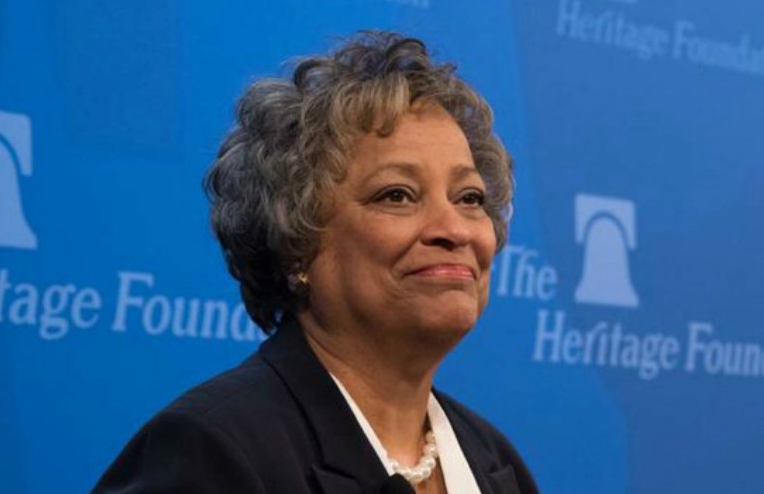 Google staffers are in revolt, demanding the removal of Heritage Foundation President Kay Coles James from an advisory board the company convened on artificial intelligence. So Google stood up to the revolt, politely explaining the value of a diversity of opinions on an advisory board, right? No. Google capitulated but in a way that was even more gutless than firing James would have been: gutless Google simply dissolved the board. The #EqualityAct is anything but equality. This bill would shut down businesses and charities, politicize medicine, endanger parental rights, and open every female bathroom and sports team to biological males. The Equality Act, to be sure, is a hot button issue. Apparently, in the view of the 2,000 Google staffers nobody is allowed to hold an opinion contrary to this piece of legislation. Critics of the Equality Act say that it will attempt to marginalize those who believe in traditional marriage and punish charities and adoption agencies that do not accept its gender definitions. In the last sentence, Skaf makes a valid point--but not quite in the way she meant it. Let's all Google the word "cowardly."